"Baker Technical Institute Heavy Equipment Training! Actual machines now! This is such an awesome training and I am so happy tribal members are getting trained!" Rachel Phair, TERO Compliance Officer for Swinomish Tero. Eastern Oregon’s leading provider of career technical education bringing critical first responder training to Bend. BTI educator highlighted on Oregon news site. 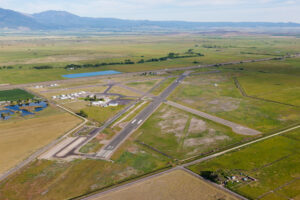 "... a proven track record of highly successful coalition building, project management, and partnership development"
BTI scores with economic development! We're not the only ones who are excited about BTI's aquaponic class. Here’s what Superintendent Mark Witty has to say about the 2016-17 Calendar. 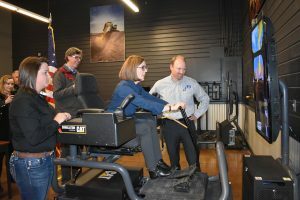 BTI's Heavy Equipment Operator's Mobile Unit is in La Conner, Washington with instructors training students through the use of CAT Simulators and time operating the equipment. Students are taught safety, preventative maintenance and other related construction skills as well. Fill out the form below or call 541-524-2651 ext. 0 for more information.